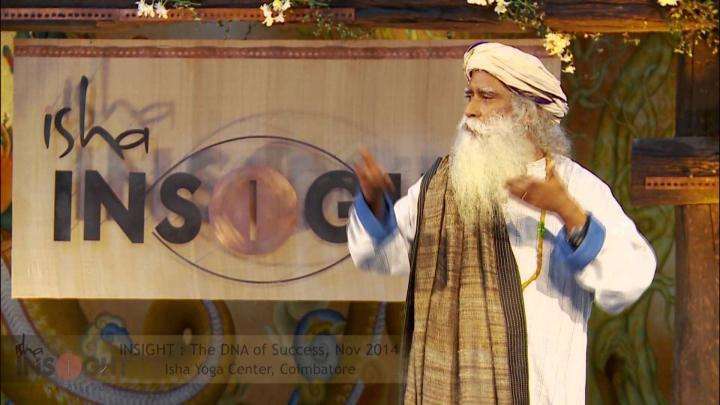 Sadhguru discusses one's identification with ideologies and belief systems and how the solution to eliminate such violence is the spiritual process. 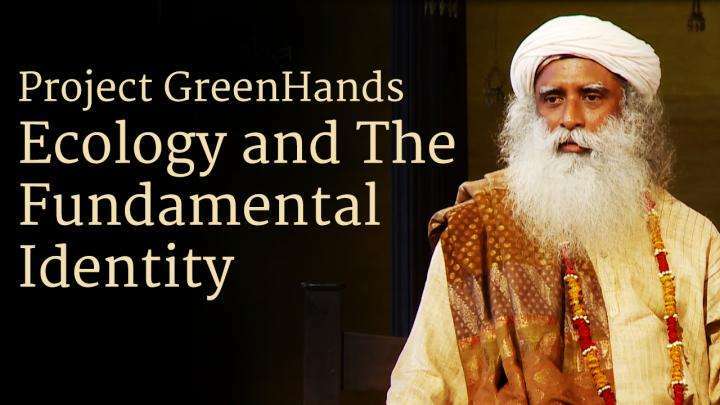 In Part 2 of this two part discourse - Hyderabad Bomb Blast & Violence, Sadhguru discusses one's identification with ideologies and belief systems and how the solution to eliminate such violence is the spiritual process. So certain types of philosophies, belief systems, ideologies - all types are attempting the same things, some are efficient. The moment you identify yourself with an ideology or a belief system or any entity for that matter; if you identify, immediately slowly your brain is turning into a concrete block. Calcification is happening, that’s why we call you a bonehead; it is happening. How efficiently it happens depends on the efficiency of the preacher or the teacher or whoever who works on you. If he is very efficient, you will be a solid block where nothing goes in, nothing goes out. You are hurtling yourself through the world - it doesn’t matter what’s happening to everybody else around you. If they have not worked upon you very efficiently, you will be little confused wondering “is this okay, not okay?” They’re not wondering unfortunately - they’re dead clear. A group of terrorists hijacked the airplanes and did whatever they did - now every one of us have to pull down everything including our pants, every time we want to get into an airplane. Yes, can’t help it. So why have people become like this? Because they are identified with things that they are not. They have gotten identified with some religious belief or an ideology or national identity or whatever. For all this, what’s the solution? Solution is only evolution. How to hurry it up? We have to put them through a spiritual process. A spiritual process means must be understood something beyond physicality must be brought into their lives. Why is it so important to bring something beyond physicality into one’s life because physical means boundary; beyond physical means no boundary. So you need to understand somebody wants to shoot you; somebody wants to bomb you; somebody wants to pull your hair; somebody wants to do something - all this is just breaching of boundaries, isn't it? Yes? Essentially breaching of boundaries. Wanting to breach somebody’s boundary or you feeling that somebody is breaching your boundary is both only because our identification with the physical is too strong. We’re not conducting the physical as a tool. We are conducting it as ourselves. So if; as a society if we do not handle these things the way they need to be handled with total dispassion, not angry with them, not hating them, simply doing what’s needed - if we don’t do that, then violence, a mild violence will spread across evenly for everybody - nobody can be at peace. It’ll happen to the whole humanity. Now it’s happening only to those who want to fly but it’s not far away if you want to drive a car - suppose, “boom, boom, boom,” five cars explode tomorrow, every car will be stopped and checked. So it is not about whether this is excessive, this is less - every society has to constantly strive to keep it down to whatever extent possible. Above all, we must be… on another level, constantly striving to create human beings whose presence brings peace.. We need to create people who will generate a certain level of friction-free existence within yourself. If there is no friction within yourself, the chances of you getting into friction with somebody is minimized – it's not gone. do not have a fairytale-ish mind thinking it’s all gone, everything is fantastic! No, it’s not gone; it’s minimized. Keeping it at the minimum is the best we can do till a day comes, a possibility comes where one day we can enlighten the whole world. I am not a pessimist but I am not stupid enough to think it’s going to happen in my lifetime - no. I am just thinking even if a few hundred people blossom, fantastic because they will multiply it further. Our prospects are very good, we’ve done a good job - very good actually. Time & Space: Concept or Reality? 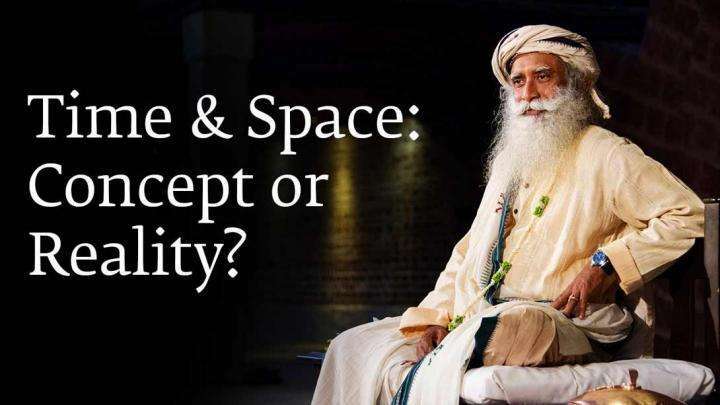 A seeker asks Sadhguru, is it true that time and space do not really exist?